Aaron Ramsey has said that Arsenal are “capable” of undoing their disastrous away record in the coming weeks (via Arsenal.com). It’s going to be the biggest test for Arsenal in the coming weeks and months as they look to undo their disastrous away record. The Gunners have won just two of their last 12 away matches in all competitions in a run stretching back to the start of December. As it stands, five of Arsenal’s final seven matches are away from home but Aaron Ramsey thinks that the club can undo their record. 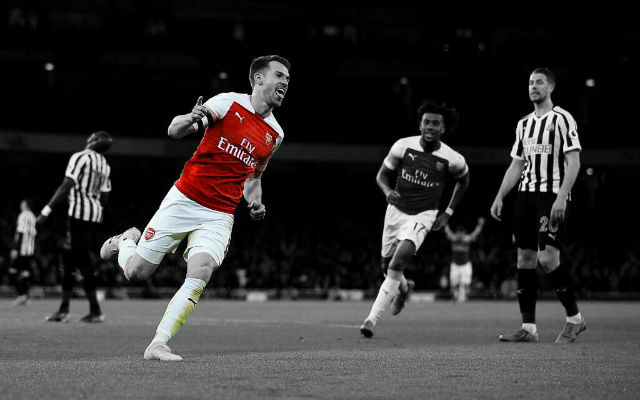 “We have won away from home this season, so we are capable of doing it,” Ramsey said after the 2-0 home win over Napoli. “We haven’t done so of late but we’re confident that we can towards the end of the season. That would be a dream finish to the season for Arsenal. A top-four place in the Premier League and a spot in the last four of the Europa League would warrant an excellent first season for Unai Emery. Of course, the Gunners will need to improve their away form if they are to achieve that.